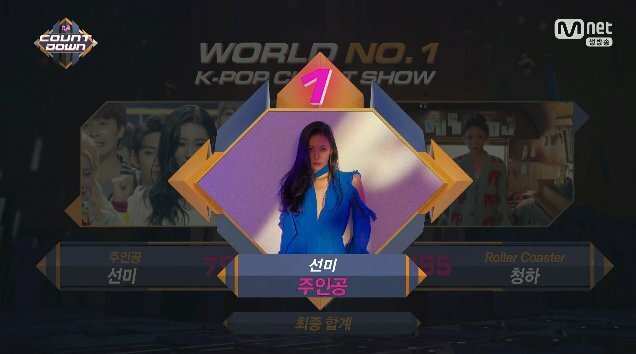 SunMi's 'Heroine' got its 1st win from M Countdown! - SNSD | OH!GG | f(x) SNSD | OH!GG | f(x): SunMi's 'Heroine' got its 1st win from M Countdown! Home / Sunmi / SunMi's 'Heroine' got its 1st win from M Countdown! SunMi's 'Heroine' got its 1st win from M Countdown! It's a win for SunMi's 'Heroine'!